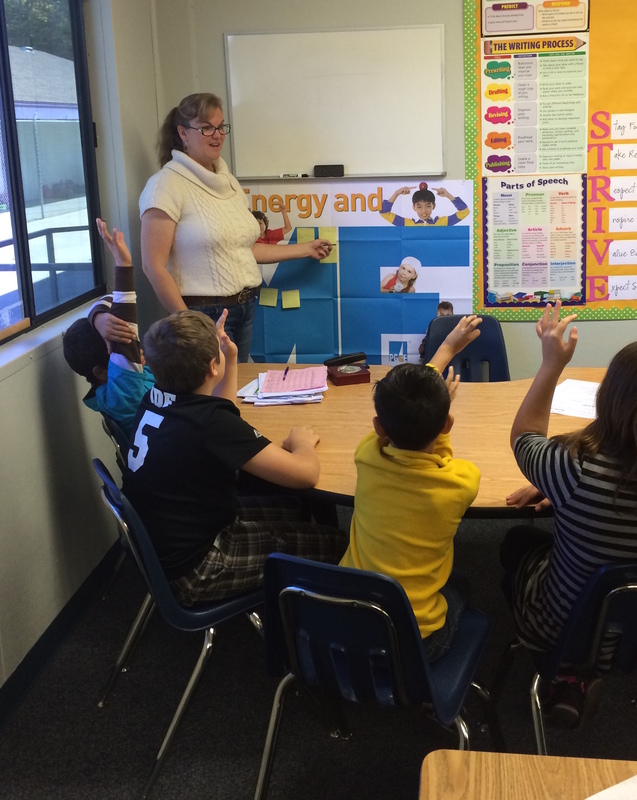 Experience and education: BA and teaching credential from Biola University. I spent five years as a classroom teacher in Modesto. This is my 14th year at DCA. Why most inspires you about teaching? Seeing students make progress in areas that are challenging for them. What are your biggest challenges as a teacher? Teaching multiple levels effectively. What is your favorite teaching tool or activity? Using technology to create projects with my students. How has Common Core affected your classroom strategy? I use more conversation between students to inform their learning. What do you want your students to remember? I want them to remember that they are capable of anything. They CAN succeed. How can parents support what you do? Participate in school work. Check their assignments. Show you care about school. What will it take to improve academic success in DCA? A group effort between parents, teachers and students to emphasize the importance of lifelong learning. What’s next in your classroom? We are focusing on water and energy and how we can conserve both. What would surprise people about your job? That the time I spend on paperwork exceeds the amount of time I actually spend with students. What do you do for fun? I became a teacher because I enjoy being with children and helping them become lovers of learning. Posted in News and tagged Class Act, Denair Charter Academy, Samantha Ericksen.